It can be a mind field when looking at where to start with SEO for your website. There are so many techniques and methods out there to put into practice and develop as Google changes their algorithm several times a year. It might seem for those that do SEO that they have just cottoned on to what Google and the other search engines require from a website that they then suddenly change. One recent example is the need for responsiveness and websites being penalised if they are not optimized for all platforms (desktop, tablet and mobile). Where as in the past this was not relevant, now it is essential. This can seem harsh and costly but still everyone must adapt and change with the times. It has been reported that google can change their algorithms up to 500 times a year, thats nearly twice a day. This shouldn’t scare us but should just keep us all on our toes. Any business should always remember that ultimately content is king, it’s what the web is all about and really always has been. All thats changed is that the search engines are getting better to recognise the best results based on what we put into that search box, makes sense right. If you are providing high quality content on your site the search engines will favor it more and it’s going to get shared more naturally, this sort of content people are going to want to link to because you provide value and you will be answering a particular need in your chosen niche. So where should you start with SEO? I shall try and break things down for you as best I can. The first thing to consider is whether you have the time and resources to do things yourself. Many companies have people working on SEO full time for their websites and others make their carreers from providing such services. If you have the time to start working on your SEO it is best not to stop. It should be an on going thing that is developed over time. What you can begin to look at and work on is your ‘On page SEO’. The examples that I will provide here are more specific towards wordpress websites but the techniques and principles are the same. With any website that I build I always go through these steps to ensure that the pages are optimized as best as possible. Permalinks: To make things as easy as possible for google to know what your pages and posts are about you will want to remove unnecessary data from your url’s. You will simply want to have your website url followed by your page and post title which includes your chosen keywords. Remove all other data that might automatically be put in. 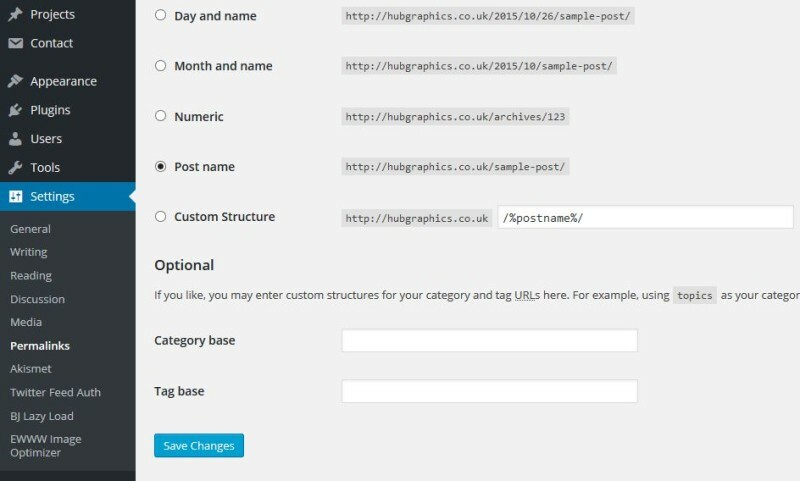 When setting this up in WordPress this is done automatically when you enter the page title, examples of selecting this option are shown below. Meta Data: Some might say this is a bit old school, but you should still not overlook it. It’s all part of making things as easy as possible again for the search engines. So you have your permalinks sorted which includes your chosen keywords. The data which the search engines pick up to use on the search results are next. Which should include again your title, description of the page and then your chosen keywords. Some may strongly disagree here about including keywords but it will take you 2 minutes to include a few. A plugin that is well known that makes these elements super easy to manage and change for WordPress is SEO by Yoast. You can simply have general settings for each page or have specific meta data which is what you will need to rank well for various posts and pages. Once you have completed this information you can view what will be seen in your search results across the search engines. Local SEO: Including your location in your permalinks and meta data will certainly help your rankings, this is especially important for local small businesses providing b2b services. It can be hard to rank for general terms in google but as soon as you place your location at the end of your url things can be a lot easier and quicker to rank well for and therefore you will gain more traffic, business, conversions etc. It could be that you take this to the next level and write specific blog posts based on your niche and your area. Content will still have to be key here, still providing value and answering those all important questions your customers will ask whilst including the keywords you have also included in the url and page title. Your Content: Your content is the most important aspect of your on page SEO which will also have to include your main keywords but they shouldn’t be overly used. Along side this you need to consider other longer tail keywords which are easier to rank for and can sometimes be produced naturally as you write your content. This free ebook will be a big help with this. However it will serve you well to research all keywords using the Google keyword tool or a paid tool such as traffic travis. A good method with including your keywords would be to tweek your content after it has been written, this can make things seem a lot more natural. Outbound links: This will still be important to your On page SEO strategy as it will help search engines understand what your websites posts and pages are about as well increase more trust and authority. Outbound links will ultimately be another source of providing greater quality to your readers. Whilst including extra value to your content with outbound links you shouldn’t go overboard with this as it will end up being a source of distraction for your readers. GT Matrix screenshot below, yes I know I need to work on my images….. Mobile Friendly: A recent big development with websites is the need for them to be optimized for mobile as well as desktop. This could mean a total re-development for older sites. If you have a WordPress website plugins can be installed to do this for you. Any new WordPress websites should now be installed with responsive themes and should really come as standard, you shouldn’t have to pay extra for this feature. This particular post goes into a lot more detail on mobile search experience. Your Design: The design of your website may not have been a factor you might have considered but it will certainly make a big difference to your readers. Having a clean simple design to your blog and overall site will help your readers focus on the content of your site and removing ads and banners will prevent distraction. Your bounce rate could also be affected due to its design. Off page SEO or backlinks are a lot more hard work. Not necessarily complicated but hard work. This is where time might be eaten up. Google and other search engines can use up to 200 ranking factors for content online but still one of the major ranking factors they consider are backlinks, essentially links from other sites pointing back to yours. But not just any links as we shall see. Backlinks: Links from other websites which have high page rank gave your website greater authority in the past however now the more relevant pages are that are linking to yours now holds just as much value. Building links that are on topic for your niche will benefit you the most which can also tie in with where your outbound links are going. It would be important to keep a consistency here. Quality links which are relevant over quantity will be key. These types of links will certainly take longer to find but will certainly be more worth while to your searh engine rankings. If you are to build links from these pages you must again consider your content, will it be content that people will want to link to? How does your content compare with others which are within the same niche and to do with the same topic. You can simply put in the relevant keywords into google and find such content, another good tool in Buzzsumo however they focus on social shares rather than the amount of backlinks a piece of content might have. Researching within your niche as to what people are talking about is important as you could determine the type of questions people are asking and what others are talking about. This way you can better structure your content and choose your keywords better and therefore shared and linked to more. A final point is the speed at which you can get backlinks, make sure you don’t rush a head building a year’s worth of links in one day. I recently had a client tell me he found a tool that builds 75,000 links in a day, errrr no! That’s totally unnatural and the search engines won’t like it. Local Search SEO: When building websites I have found this simple technique really benefitial for local search SEO. You will need to submit your details to business directories such as 192.com, Yelp and Yell. Over the past year or so the list for these types of directories has sadly gone down but you can still find around 30 which are of good quality. A good list for these submittions can be found here. What I would recommend is that your details are not submitted to everyone all at once. This sort of link building the search engines wont like as it will seem unnatural. You will want to spread your submissions over and period of a few months. This can be time consuming so as part of a service at Hub Graphics we can submit these details for you over a period of a few months. Traffic: Guest posting is one really good way to gain links which may not look so natural to the search engines as they will carry a similar format each time one is posted so it is best to not over use this method. It will also generate you traffic, this maybe a little more time consuming as you will want to produce good quality content that another blogs or websites will want to post. It will also get your name out there within your niche. Another great benefit to guest posting is that blogs you might have posted your content on will later naturally link to you for other content which you might be sharing on your site. Keeping track: With all SEO you will want to track what is happening which isan’t hard to do. You can use Google analytics by putting a small piece of code on your website. 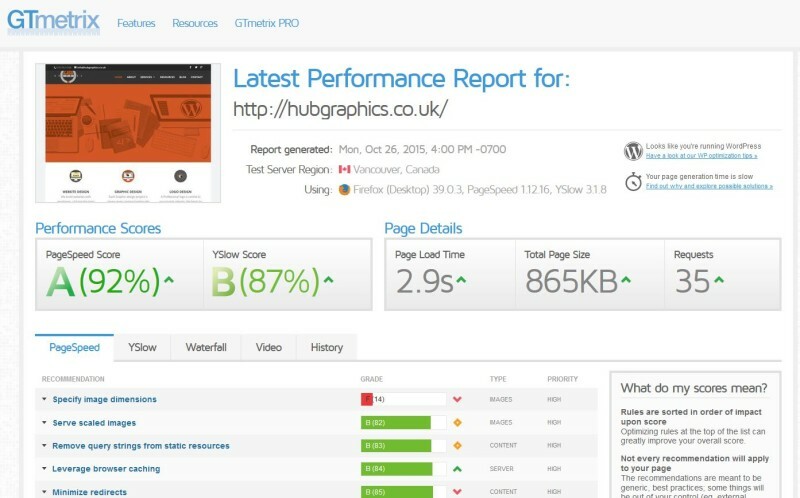 This allows you to check traffic, keywords, demographics etc. Basically you can see the activity on your website, with what’s working or not. Along side this is Google webmaster tools recently changed to Google Search Console. Here you can check for errors on your sites pages and make necessary corrections. Here is some further information that could be helpful to you to read up on, so you know that your websites SEO is on the right track. Any further advice and help you think should be added please leave in the comments below. SEO checklist to run through to see if your services are covering all areas possible. For writing good quality content thats targeted. Advice and rules in working with a content writer. Googles own mobile friendly test tool.